Drone Guard uses electronic means to jam drone GPS and communication signals. What police have called “criminal drone activity” shut down London’s Gatwick Airport for almost three days last week, throwing the spotlight on anti-drone technology. But it was not the first time that drones had been used with malicious intent. On the night of January 6 this year, Syrian rebels conducted what might have been a world first – a massed drone attack on a pair of Russian military bases. Thirteen remote-controlled drones armed with small sub-munitions approached the Hmeimim air base and the Tartus naval base in Latakia, Syria. Ten drones attacked Hmeimim while three attacked Tartus. The attack was a total failure – all were downed, six by electronic means and seven by the air defence system, an expensive but maybe necessary response to very low-cost drones purchased in the local markets. But what if the attack had involved dozens of drones? Just a few would be sufficient to cause substantial damage to expensive aircraft. The proliferation of small over-the-counter drones or unmanned aerial systems (UASs) of growing sophistication means these are likely to be an increasingly common element of future conflict, and as Gatwick has evidently shown, protest. Plenty of work has been done on drone countermeasures, ranging from electronics – most commercial drones operate on known frequency bands with common command protocols – through to net throwers, guns, missiles, and even hunter-killer drones and trained birds-of-prey. A screenshot from an Elta promotional video explaining Drone Guard. 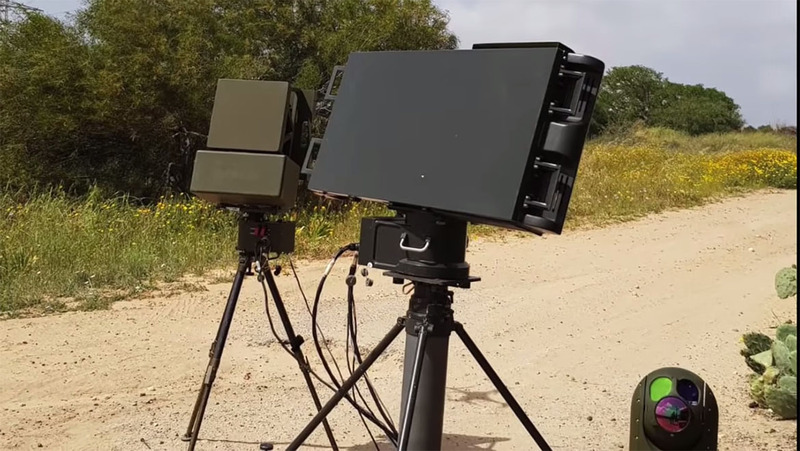 Perhaps the best known anti-drone technology is the Israel Aerospace Industries (IAI) Elta Drone Guard, a counter-UAS system that has a list of several (unspecified) foreign customers. 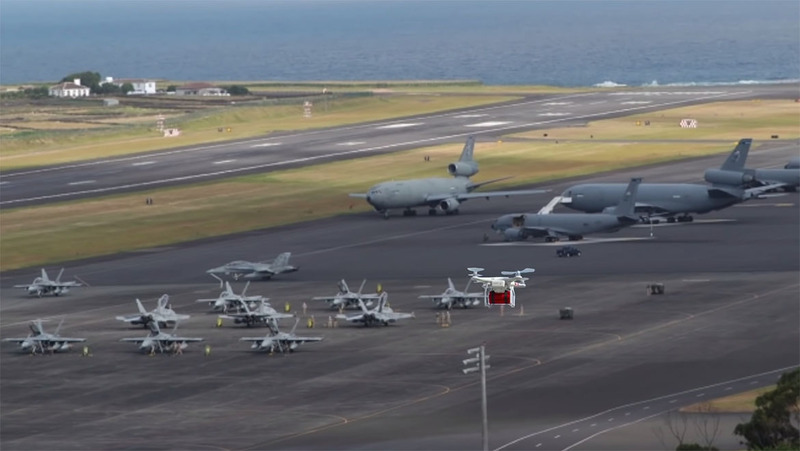 The system uses electronic means to jam UAV GPS and communication signals, with a portable three-dimensional radar which can detect and track low slow objects, Elta says. Confirmation is by an optical sensor, and the jamming keeps the drone in a fixed area until power runs out. “The use of commercially available UAS and small drones has increased dramatically over the past few years as these platforms have become a potential threat to sensitive facilities, crowds, high profile individuals and other aircraft, due to their small size, slow velocity, and low altitude flight. “Small drones can be further used for hostile applications such as unwanted intelligence gathering, smuggling and even as weapon carriers,” according to Elta. VIDEO – An IAI Elta promotional video explaining Drone Guard. “Elta has responded to these challenges with new and enhanced Drone Guard capabilities. In addition to the current radar, EO and jamming capabilities a hostile threat can now also be detected, classified, identified by means of the enhanced COMINT system,” Elta explained when the updated Drone Guard system was announced late last month. Does anyone know whether commercially available anti drone devices(apart from a shotgun) are available to keep drones away from your home? Really interesting possibilities for Australia in terms of mass-producing cheap drones to hurt more expensive hardware from a future enemy? I can see the use of drones being regulated, and users requiring a licence to own and operate one.